Hang this Personalised Family Planner somewhere that everyone can see it – so no more excuses if someone ‘forgets’ something! Encourage each member of the family to add their important events, deadlines and activities so you can keep track of each other’s movements and help one another stay organised. You can enter up to 6 names, and each person will be allocated a column on the calendar. The large A3 size means there is plenty of space for each person to write their details. We use it each year and it is very useful. It doesn't have the days written on it and it's usless when trying to teach children about their weeks. I threw our calendar in the recycling bin. A pointless waste of money. Thank you very much for your honest feedback! We will definitely pass on your suggestion to our design team here at Stuck On You. We hope your Family Activity Planner comes in very useful. Thank you so much for taking the time to provide us with this awesome feedback! 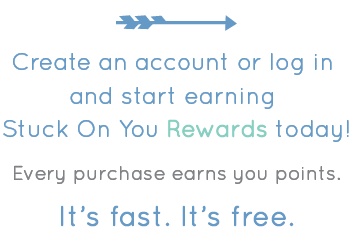 We love hearing from our long-term customers, we really appreciate your support and hope you love your new Rewards Chart and Classic Dot Name Labels. Thank you for giving us such great feedback. We are so thankful for your continued business each year with your Family Activity Planners. The idea of putting the days down the column is a great idea and I will pass that information on, thank you for that. We are pleased to hear that you received your order so quickly, as we pride ourselves on our fast, efficient delivery. It is great to hear that you are loving the layout of the Family Activity Planners. We tried to create as much space as possible as we know having a family always keeps the activities coming.